Why is Surface Hardening Done? Not all metals are created equal. Some are softer and more malleable, while others are much stronger and more durable. When working with steel parts, it’s fairly commonplace to treat the metal in order to create the perfect mixture of durability and strength for that part’s intended use. With advances in science and technology, we can change mechanical properties of metals. One of the most common ways this is done is through case hardening, or surface hardening. Surface hardening is a heat treating service for reinforcing a metal surface. There are many different types of surface hardening processes but typically, you take a base metal with a low carbon content and then combine it with a thin layer of another metal alloy that has a higher carbon content and is also more durable. Once reinforced, the finished product is a combo of metals that are much stronger; which allows the object to be used for much longer than originally intended. How Does Surface Hardening Work? It’s important to note that surface hardening can be done with both alloy and carbon steels; although, in most cases, mild steels are ultimately used. To create case hardened steel, you’ll usually need to diffuse nitrogen, carbon and boron into the outermost layer of steel through extreme heat. From there, the surface needs to be heat treated to the level of hardness that is needed. On top of surface hardening producing a metal that is much harder than the original, the use of an initial low carbon metal also has the advantage of making this material more malleable. This allows manufacturers to create their desired shapes. Another advantage of this process is not only just the overall strength of the product, but that it helps the iron to avoid becoming weak. Because the inner core is left untouched, the product still possesses flexible properties. Metal surface hardening can be a fantastic way to reinforce parts that subject to impact and pressure. 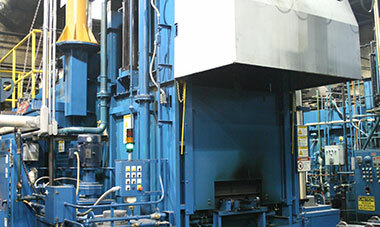 If you are in need of professional heat treating services, contact the experts at SST. We service numerous industries including (but not limited to) automotive, rail and aerospace. You can trust us with creating high-quality parts for your business. Contact us today!